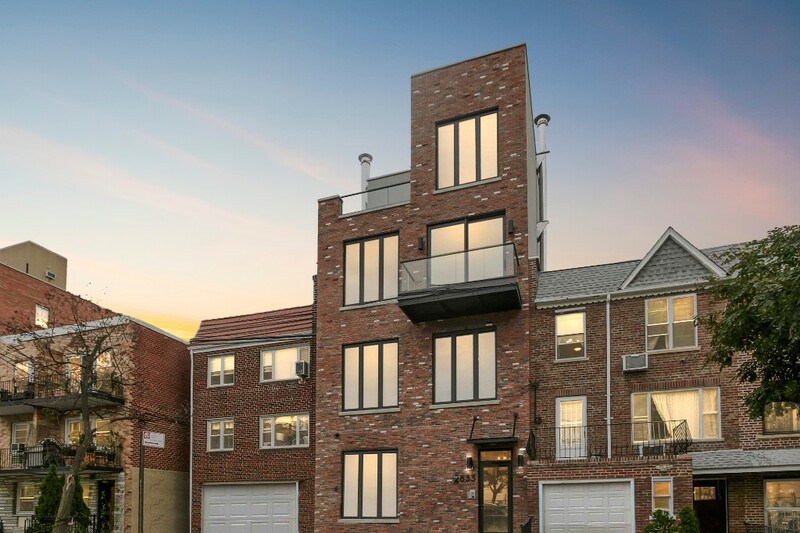 LOFT STYLE 760 sf. 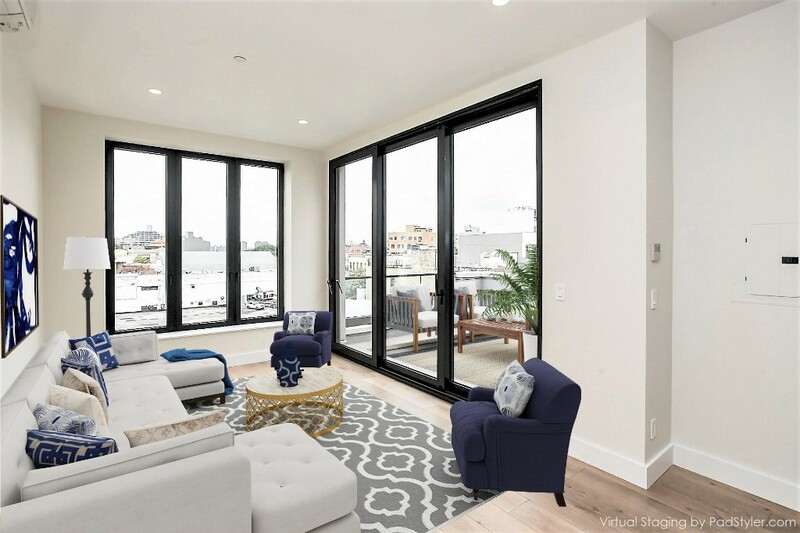 ONE BEDROOM with 1, 180 sf. 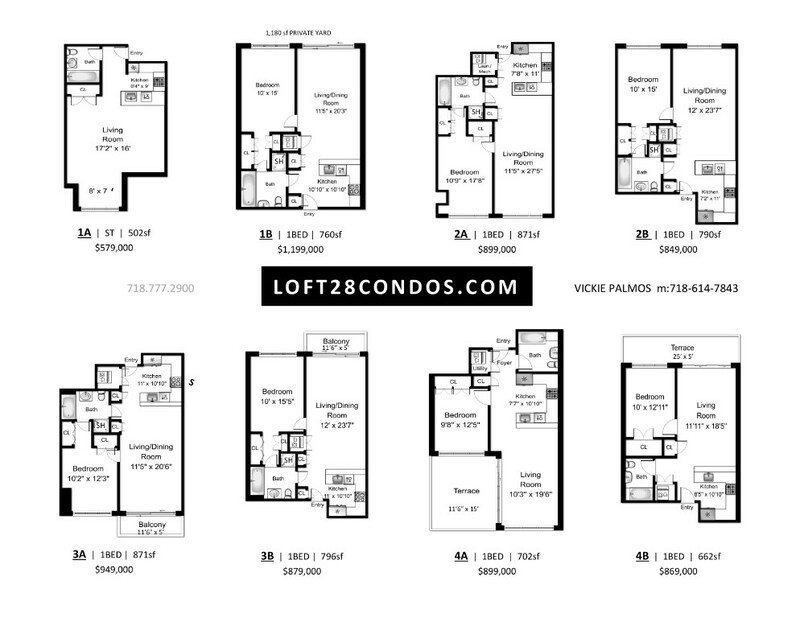 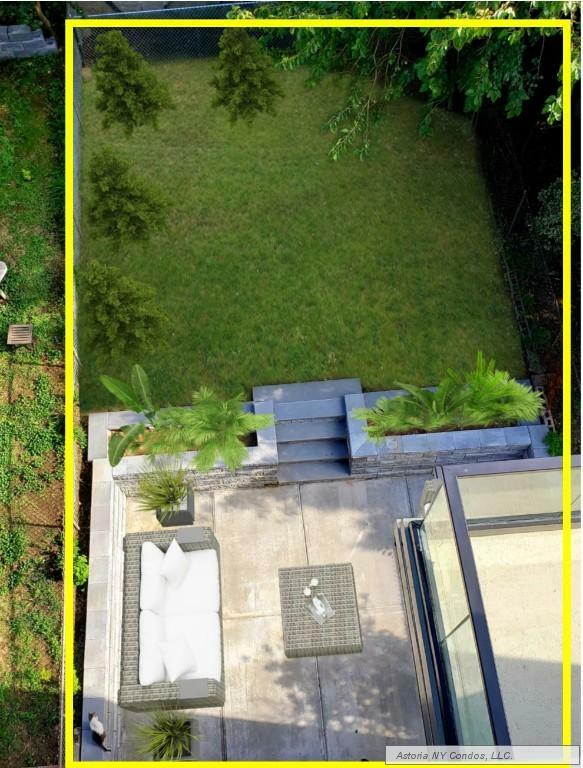 of PRIVATE OUTDOOR SPACE!Welcome to the LOFT 28 condominium residences. 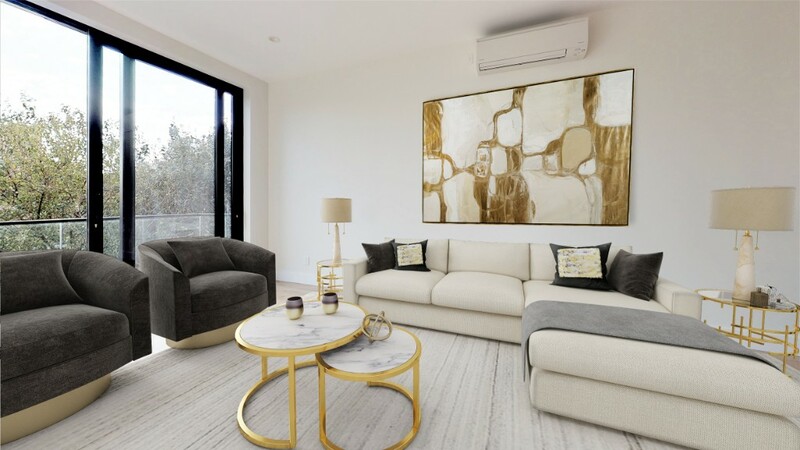 A sleek and modern designed, boutique building, with eight limited edition units. 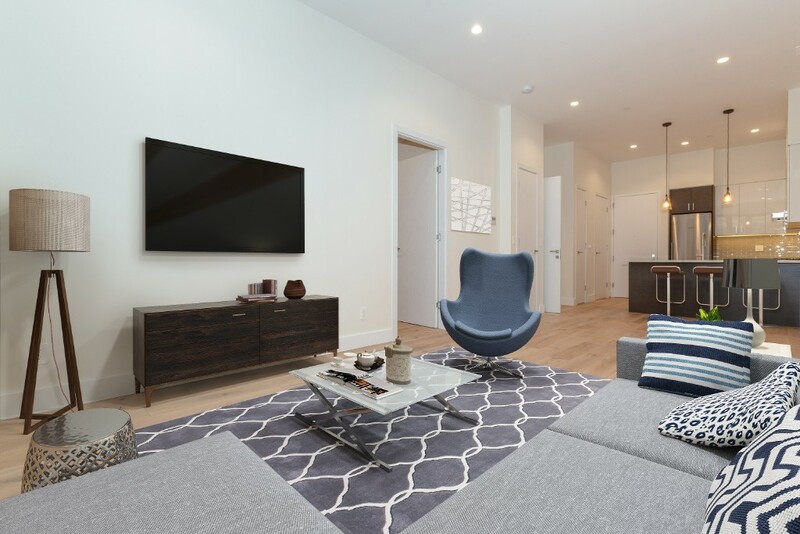 Built with unparalleled attention to detail and solidly crafted construction means no compromise living.Sophisticated unit amenities and style—the expansive apartments feature 10 to 11 foot cathedral ceilings, stunning 7 inch wide hardwood plank flooring and high efficiency recessed LED lighting, European 8 foot tilt and turn windows, 9 ½ foot European lift sliding doors, 8 foot, made in Italy, doors throughout.PREMIER RESIDENTIAL LOCATIONArguably one of the finest residential locations in Astoria, a commuters dream. 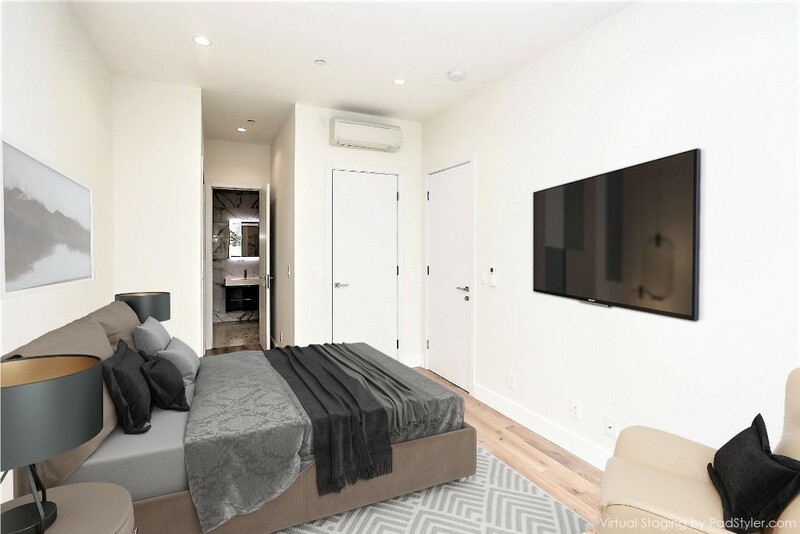 Two minute walk to the subway, 14 minutes to Manhattan.EXPANSIVE UNITS WITH 10 - 11 FOOT CEILINGS8 residences: 7 one bedrooms and one Studio average almost 800 square feet each (one bedrooms excluding outdoor space, balconies and terraces).15 YEAR TAX ABATEMENT AND LOW COMMON CHARGESTruly a smart, live-in investment, that promises upside for years to come.Exceptional Building & Apartment details include: Imported, made in Italy, pre-finished 8 foot interior doors with magnetic hardware—8 foot picture windows—9 1/2 foot sliding doors—Daiken electric ductless split system for efficient heating and cooling (with remote control)— Bathroom radiant floor heating—oversized balconies and terraces with glass railings (most units)—Bosch stackable washer / dryer in each unit—extra closet space—solid concrete floor slabs with 3/4 inch plywood subfloors under 7 inch wide plank hardwood floors—pre-wired with Cat6 and coax cable—Video intercom entry system—building camera security system—energy efficient mechanicals and construction materials—individual, tankless, hot water heaters—full building fire sprinkler system with central station fire alarm—stunning roof deck with 3/4 inch Porcelain Pavers and 360-degree vistas with endless Manhattan skyline views. 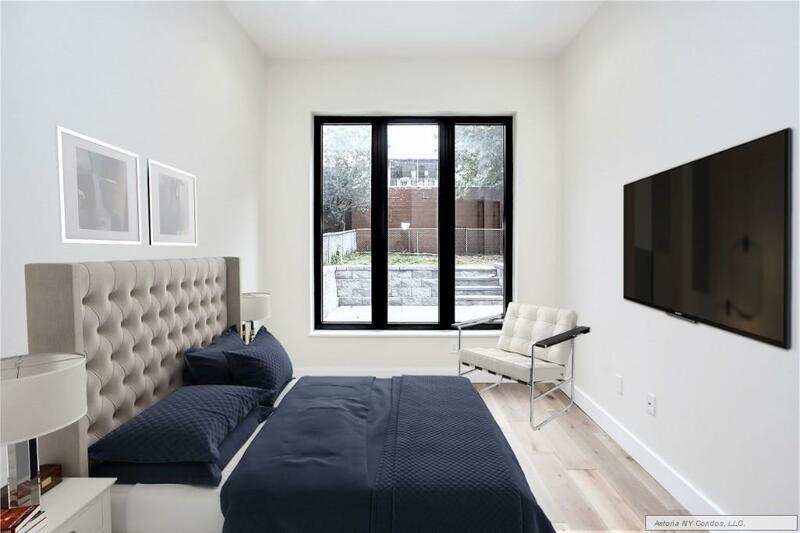 Sleek and Modern, the units in this newly constructed building have unparalleled attention to detail within the solidly crafted construction. 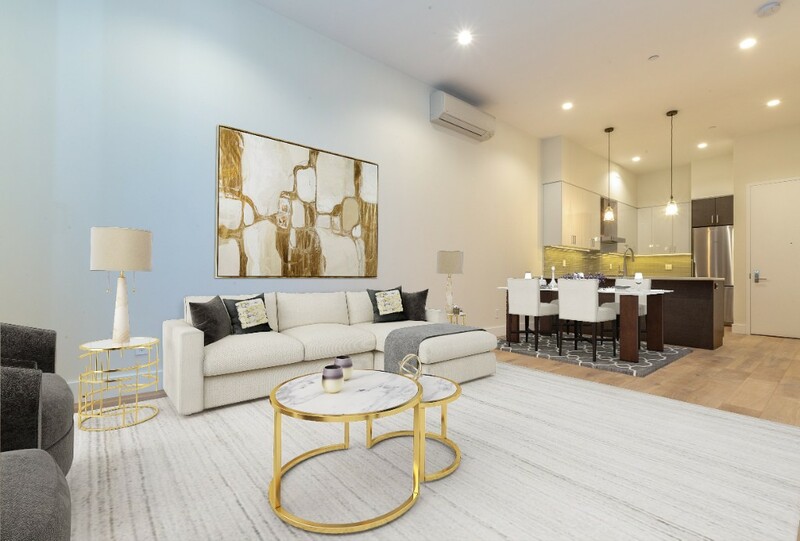 With sophisticated amenities and style, the expansive apartments feature 10 ½ to 11 ft ceilings, stunning 7" wide hardwood plank flooring, high efficiency recessed lighting, European 8' tilt and turn windows and 9 ½' European lift and sliding doors, all interior doors, imported from Italy, are 8 feet. 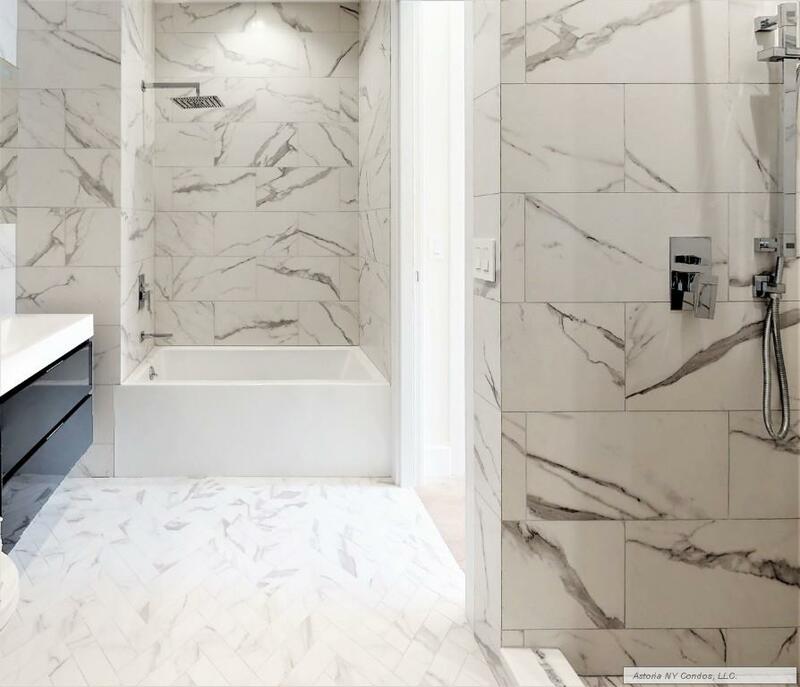 Sumptuous bathroom with dual entry, Calacatta porcelain floor to ceiling tiling, soaking tub, separate luxurious shower with matching hardware from Spain and radiant floor heating. 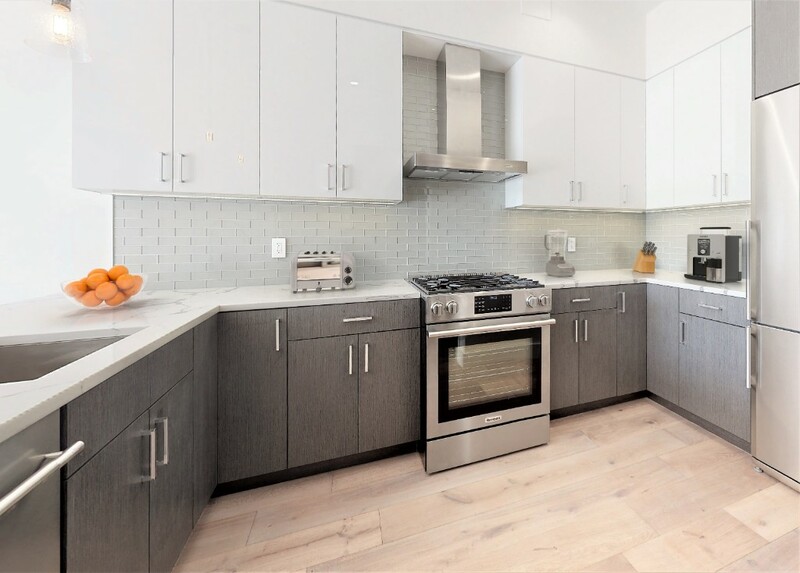 Stunning kitchens with high end Blomberg appliances including chefs convection oven, whisper quiet dishwasher and true exhaust as well as full quartz counter-tops and glass tile backsplash, Italian contrasting cabinetry and German hardware add to the exquisite contemporary flair. 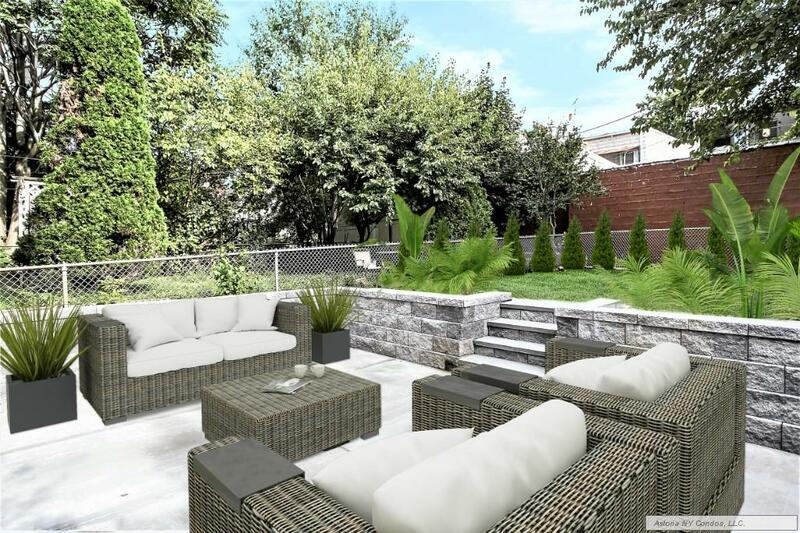 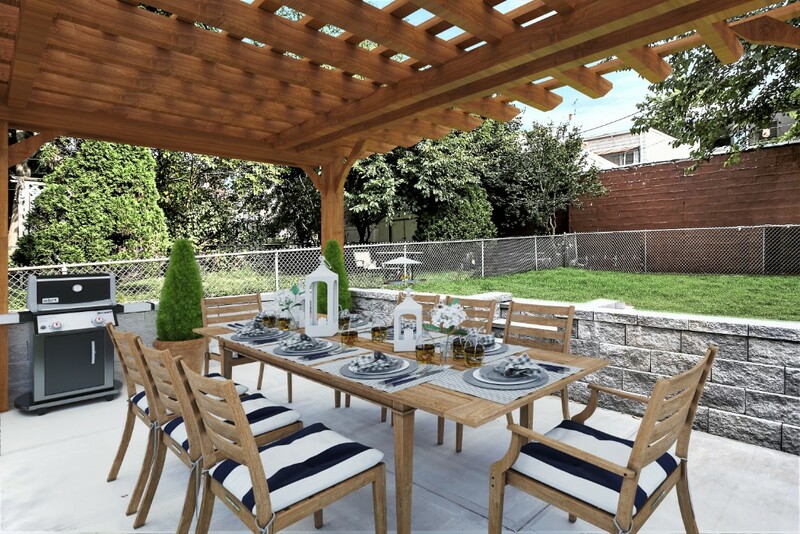 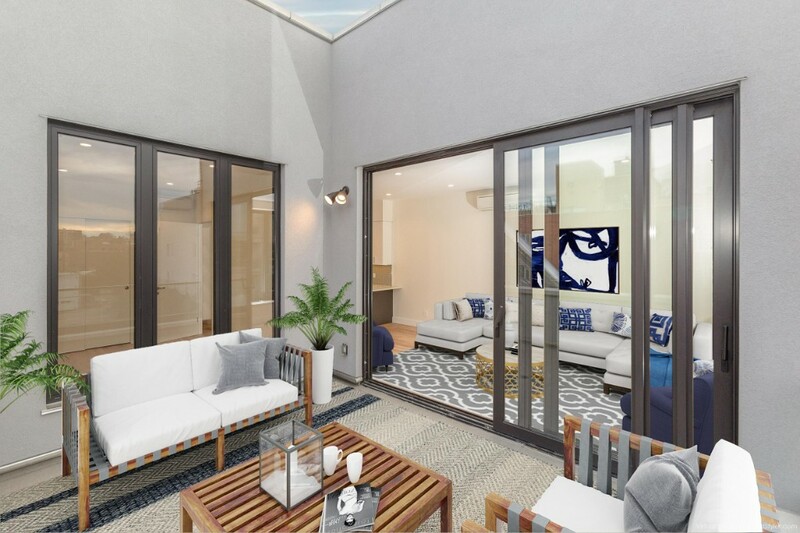 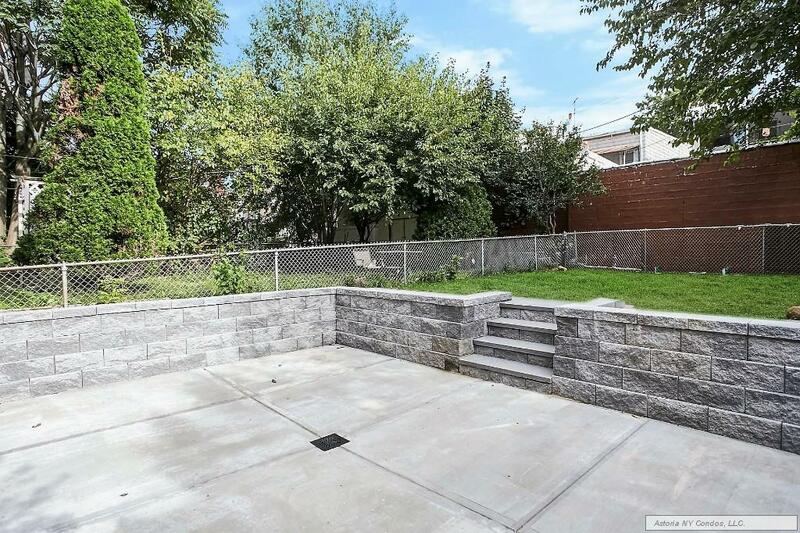 This main floor unit features a private garden and patio on over 1,180 sq ft. Special details include electrical ductless split system for heating and cooling with remote control - in unit laundry and extra closet space make these units extraordinary in design. 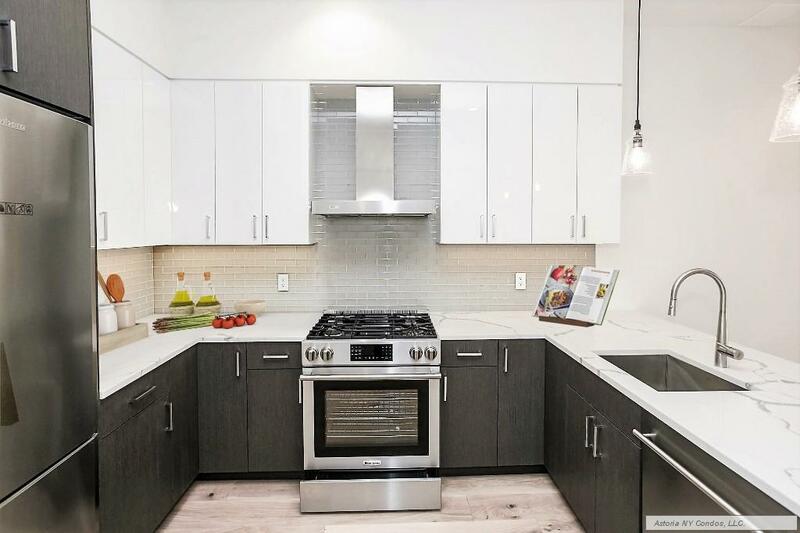 The many building amenities include camera security system, energy efficient mechanicals and construction materials, full building fire sprinkler system with central station fire alarm. 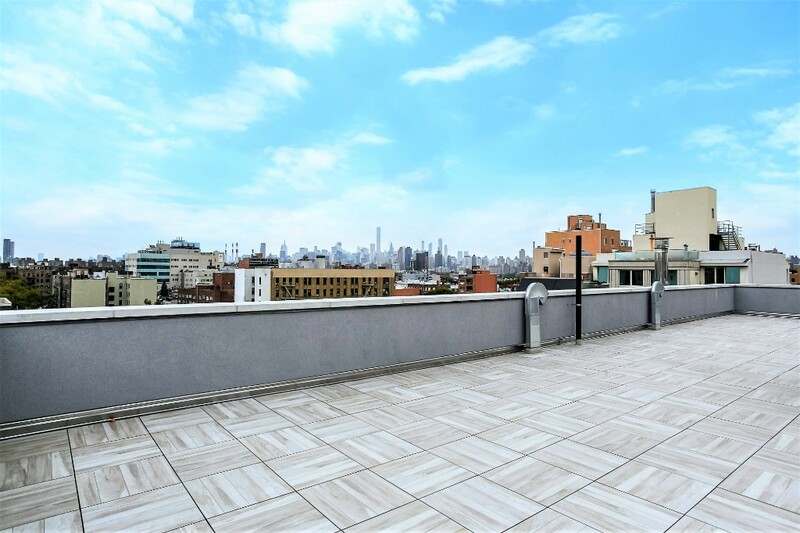 Stunning roof deck with porcelain tiled pavers and 360-degree vistas with NYC skyline. 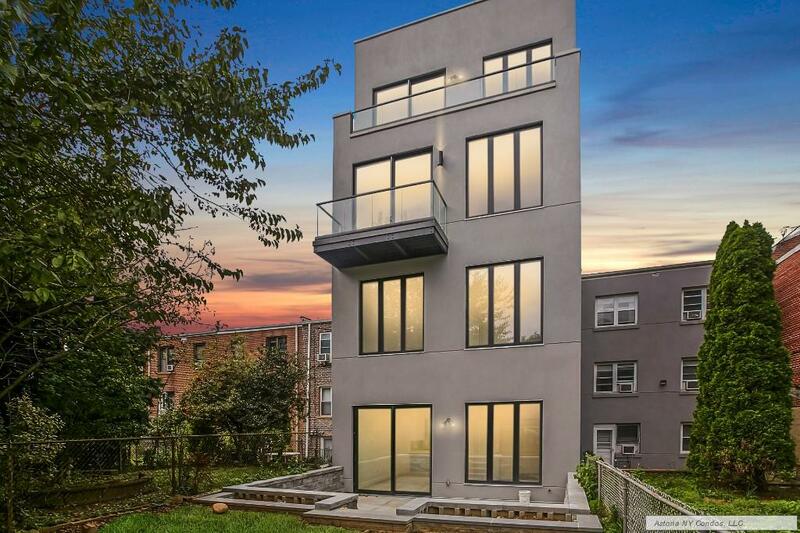 Close to all one could need with NYC transit a mere few blocks away, this building is the ultimate in 21st century urban living.